Plochmann Lane: Levon Helm & Mavis Staples rehearsing in Woodstock, NY. 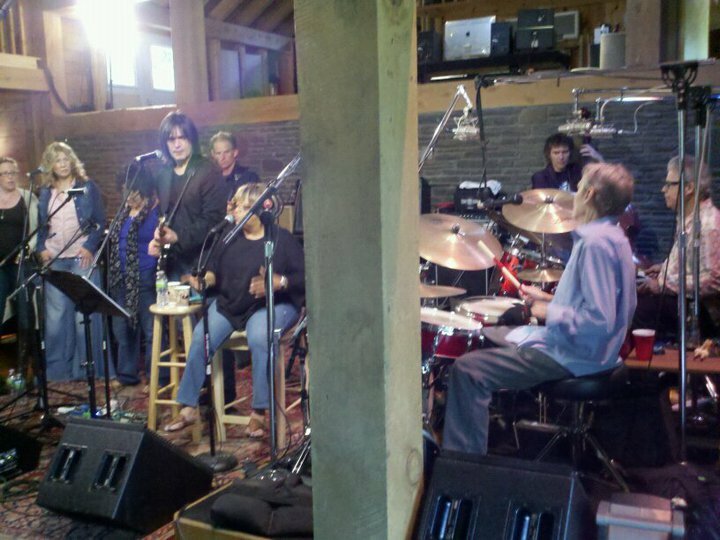 Levon Helm & Mavis Staples rehearsing in Woodstock, NY. Great pic of Levon Helm, his band and Mavis Staples rehearsing today in preparation for tomorrow night's gig in Woodstock, NY. For those in attendance, it will be recorded. What an amazing night it will be! Picture is the property of Levon Helm.